The Galbin range of binocular cases are precision-engineered to offer the greatest level of protection for valuable optics equipment when travelling, out in the field or in transit. 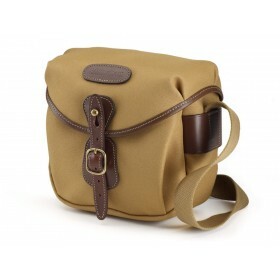 This case has been made specifically for Leica by Billingham. One the most notable aspects of the bag is the effort we've gone to to keep the weather out of it. 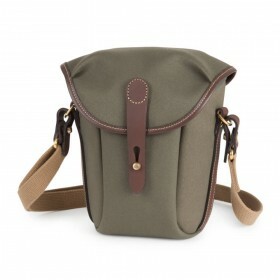 Each case is made Billingham's waterproof 3-layer canvas or 3-layer FibreNyte materials that never require reproofing and remain moisture-resistant for the whole lifetime of the bag. Our canvas is hardwearing and our FibreNyte an even harder wearing material that is colour-fast and delivers exceptional durability and protection against wear and tear. In addition to this waterproof material the bag features a contoured outer main flap, as well as an internal soft cover with drawstring cord fastener and secure toggle lock, affording additional defence against both dust and inclement weather conditions. 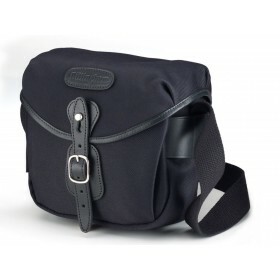 The bags incorporate Billingham’s Quick Release System (QRS) - a strong leather strap with a solid brass ‘clogball’ fastener positioned on the front of the bag to allow the owner to gain access to equipment, quickly and quietly, the instant it is needed. This flexible mechanism avoids the risk of disturbing the subjects being observed, and allows rapid access to the bag - with a little practice you should be able to open and close it one-handed. On the side of the bag are two solid brass D-rings - these can be used to quickly attach and detach the removable shoulder sling (included), also with the QRS system. 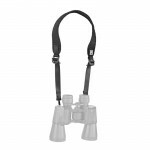 The shoulder sling is adjustable for length and is made from high strength shuttle-woven polyester. 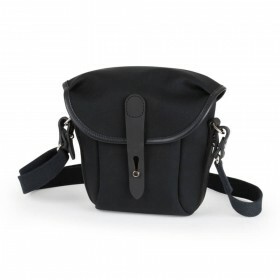 On the reverse of the bag are two sturdy leather reinforced straps that are secured by press studs, these enable secure attachment to a waist-belt (up to 6cm wide) for optimum portability. 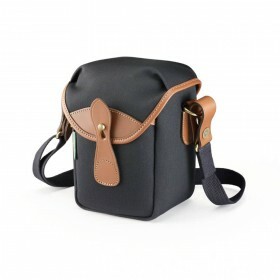 We have integrated a handy slip pocket into the design at the back of the main compartment, for the storage of rainguards, objective lens covers, notebooks, accessories or mobile phones. 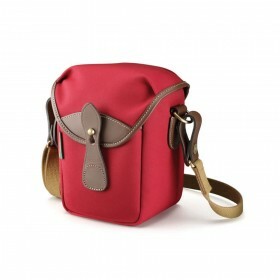 In addition to its high quality canvas the bag features top-grain leather and solid brass fixings. It is made at our own factory in Cradley Heath, England. 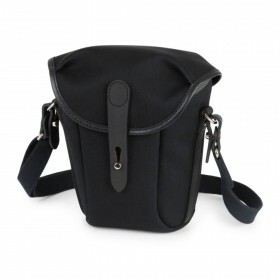 The bag is protected by Billingham's 5 year manufacturer's guarantee.